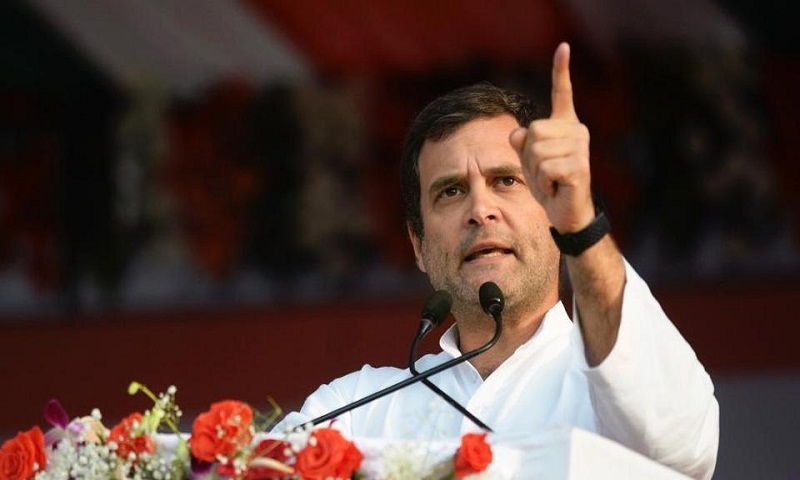 Congress president Rahul Gandhi on Tuesday said the promise of minimum income guarantee is his party’s “surgical strike on poverty” that will ensure there is no poor in the country after 2019. Gandhi said the Congress’s promise of minimum income guarantee is “an explosion”. “It will set off a bomb…This is the Congress’s surgical strike on poverty. They (the BJP) tried to eliminate the poor. We will eliminate poverty,” said Gandhi at a public rally in Rajasthan’s Ganganagar, report Hindustan Times. On Monday, Gandhi promised that his party would, if it comes to power, guarantee an income of at least Rs 12,000 a month for 20 per cent of India’s poorest families by giving them Rs 6,000 a month. He said the minimum income guarantee scheme, named NYAY (standing for Nyuntam Aay Yojana) meaning justice, would cover 5 crore families or 25 crore people, who constitute the poorest 20 per cent of Indian households. The scheme, if implemented, is expected to Rs 3.6 lakh crore, around 2 per cent of India’s GDP. Gandhi has insisted that it is fiscally prudent.